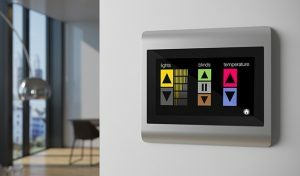 Enhancing Guest Experience in Vacation Rentals with Automated HVAC and Lighting Control Systems. Most of the tourists that travel together like families, friends or just a formal or informal group always choose to book vacation rentals mostly to reduce the total cost of the vacation, to get a more private and spacious accommodation and or even to be closer to the tourism attraction sites. It is every vacation rental home owner to enhance the experience of each and every guest. The best way to do this is by installing or setting up high quality automated HVAC and lighting control Systems within this premises in order to ensure that the quest enjoy the vacation at an utmost comfort. These vacation rentals provide guest with full independence as they are able to prepare means and or even do laundry on their own. The automation also help these guests in managing their time while indoors. They are user-friendly and the guest can manage aspects like television, thermostat, lighting etc. The ease in controlling aspects like lighting and temperature enable the guests to focus on their trip. They are able to switch of lights, thermostat and television instantly whenever they are on the go and switch them off easily when they come back to relax after a long day of touring. Remote monitoring also ensures that management can control the lighting and temptation on the guests’ behalf. Yes, the HVAC and the lighting control will add convenience to the guests’ experience, moreover, it also adds luxury to this experience. The guests are able to change the mood through lighting and temperature to a level that is pleasant and comfortable to them. Those who are only comfortable sleeping with lights on can switch to night lighting or even dim the lighting to their comfort. The guest are also able to cut the vocational cost by reducing the cost on utility. They automation helps in saving on the energy cost thus reducing the whole budget. basauthor	2018-05-03T10:59:27+00:00	May 26th, 2018|Comments Off on Enhancing Guest Experience in Vacation Rentals with Automated HVAC and Lighting Control Systems.